Now that the temps have dropped I thought it would be a good idea to open up something new, and what better then a bottle that's been sitting in the cabinet for over 3 years. Nose - Sweet smooth toffee, vanilla, caramel, raisins, fruit cake, hints of oak, and pungent berries and fruits. A fairly thick nose on this with a strong sweet-syrupy note. Palate - Fast, sweet arrival with fruitful tannins and a dry fruity complexity. Something citrus'y in here as well. Finish - Dry yet sweet. Some bitterness with a shy woody note coming through. Decent length here! So how does this whisky stack up overall? A very nice surprise indeed. I was putting this off after reading reviews about it not being anything special and fairly average, but I must say this is quite a nice change to all the smokey drams I've had over the summer. The Auchentoshan has more to offer in terms of taste and really was a nice surprise to what I was expecting. Not overly complex, but not the least boring either. Nice mix of sweet tannins with some fresh fruits and very decent smooth finish. Nice positive review, thanks. How would you compare this to a Glenlivet 12 which is light, fruity and somewhat watery? I was thinking of buying a bottle, but put it off having read flat reviews about it. @ jack09 - They're both in the same or similar league. Glenlivet gets a fairly average review since its an all around beginner entry level whisky. That being said, its far from bad. I enjoyed it, but its not really memorable. 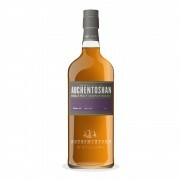 If I had to pick between the two; I'd go with the Auchentoshan since its a little bit more flavorful with a longer finish. Glad you enjoyed the toshan 12, like you said many don't rate it but I find it very enjoyable ??? ?